Black ombre hair is one of those hair color trends which brought the spiciest yet calmest touches to the hair industry. The trend was welcomed by dozens of stylists instantly. 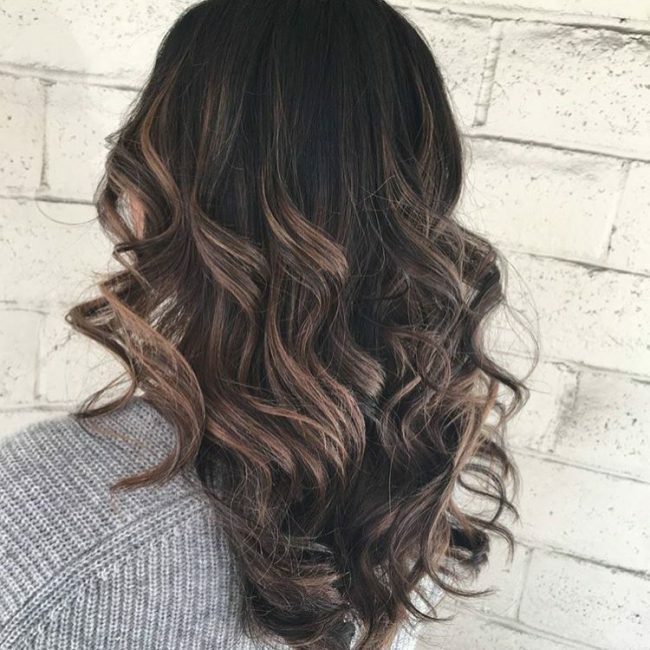 The best thing about black ombre hair color is that it requires very low maintenance and provides you with hundreds of styling options. 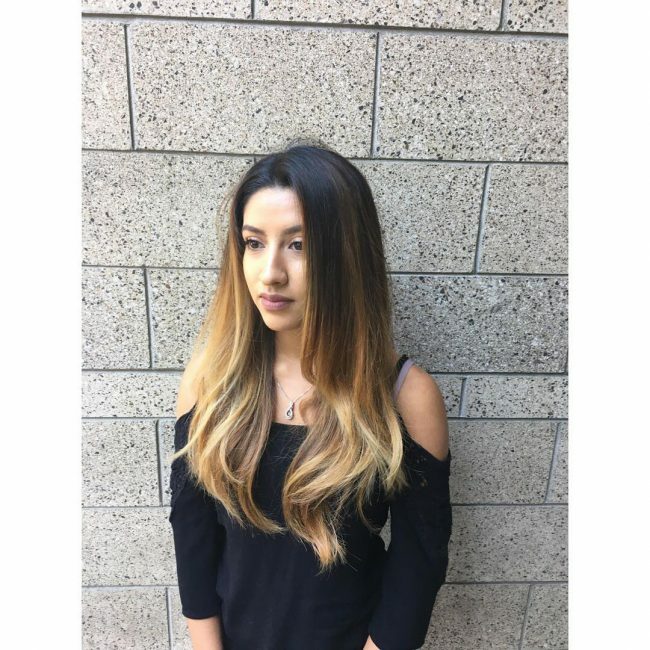 These days, the black ombre hair color trend is all over the magazines and runways. 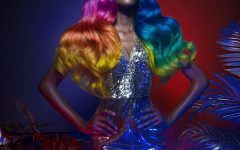 You have endless choices with it like you can go natural, colorful, soft, bold and what not. So here are 45 hottest ideas to style your black ombre color without compromising on your diva vibes. You will love all of them but unfortunately, you can get only one done right now. So, choose one for now and save the rest for later. The best thing about black ombre is that you can combine it with two shades of any color. Like honey and chestnut here. So, if you are confused between two, why not get them both. These two hues have been used in small proportions but they are making their presence noticeable. These shades do make you think of the sun-kissed locks. They literally light up your natural hair. The shade here is neither brown nor black. It is something in-between. Whatever it is, it really eases up the visual intensity and makes this mix perfect for summer outings. Pastel colors are a great way to pop up the black tones of your hair. They do their contrasting job really well. Other than that, the hues are unapologetic, luxe and rich. They unconsciously make you think of cold winters. This hair color definitely has something mysterious in it and you can do nothing about it. So, if you are looking for a hippie kind of thing and you want to do something different, then try this look. It is strong, amazing and incredibly beautiful. Combine both caramel and hazelnut and this is what you end up with. You can even notice the dramatic shine here. The color has the capability to turn all the faces towards you in a party or an event. This one is already making waves in the H-town these days. If you love cool tones, then black transitioning into the orange is your newly found striking effect. The black orange ombre makes your facial features prominent in a gorgeous manner. Plus, it goes with both makeup and no makeup. Why not turn your hair into something more majestic and magical? The blues will bring up the purity while the blacks will keep some secrets. 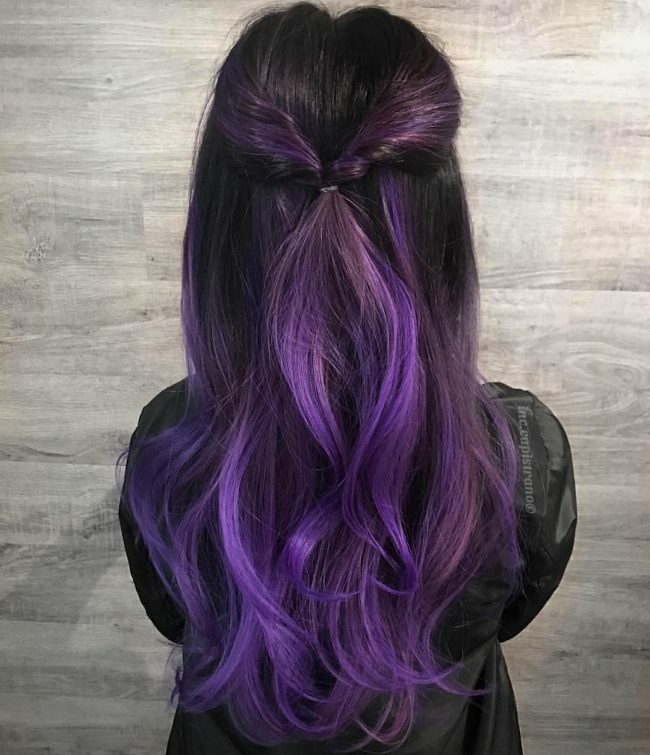 You can even notice the purple in the end. It is an inky take on the whole look. So, if you like to make bold statements, then this one is your way to go. 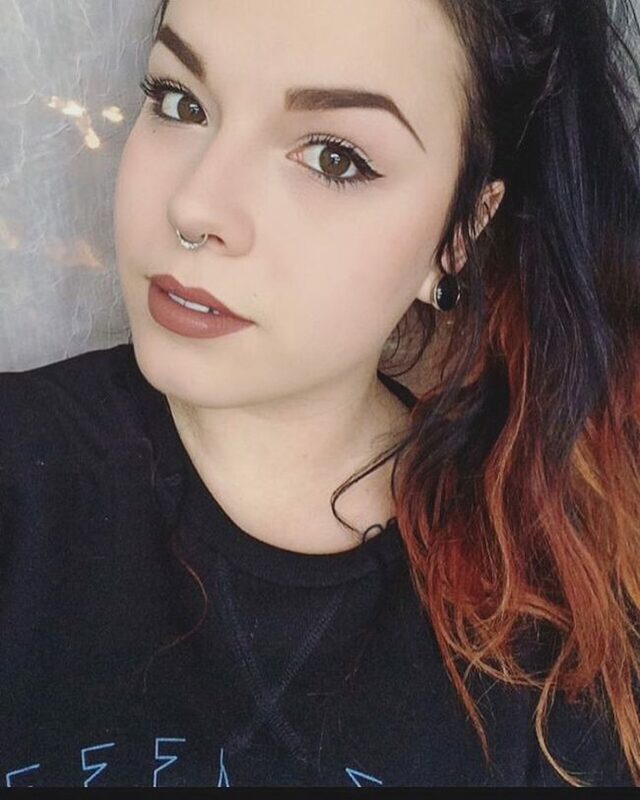 Black ombre hair truly blesses you with your own choices. 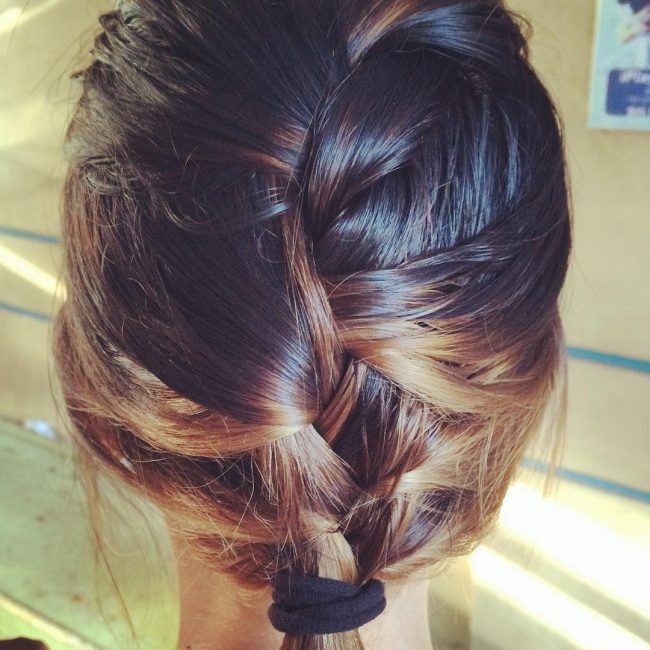 Check out this braided look. It definitely gives some intense feels. 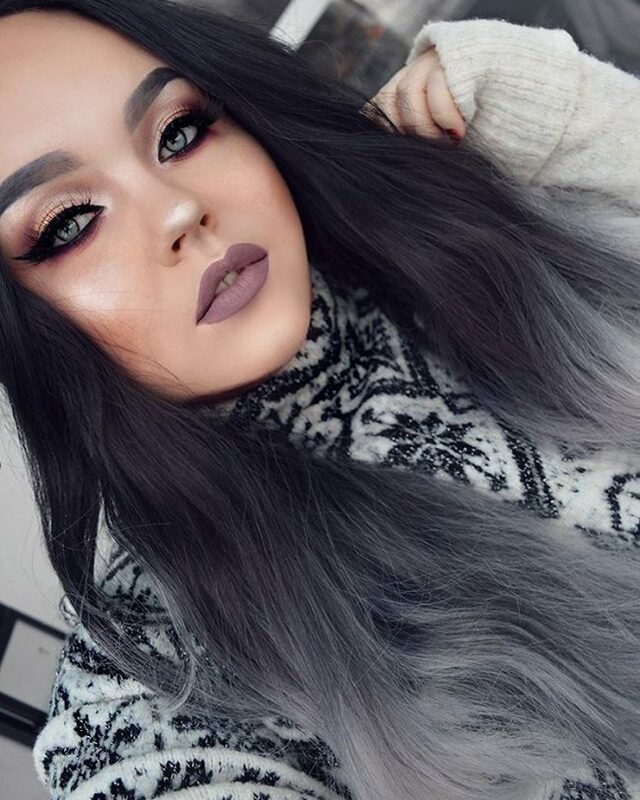 With that, just throw some dark makeup. You can go with flat or go smoky eyes with it. Either way, the hair color will look vivid. If you have a thing for wilder shades, then this softly transitioned look from black to blue is a sure go. When the outside weather is frightful, this color would be the softest decision you can ever make. Also, with shiny things, this black and blue would be a good choice as it will not kill the vibes of your bling-filled jewelry or dress. 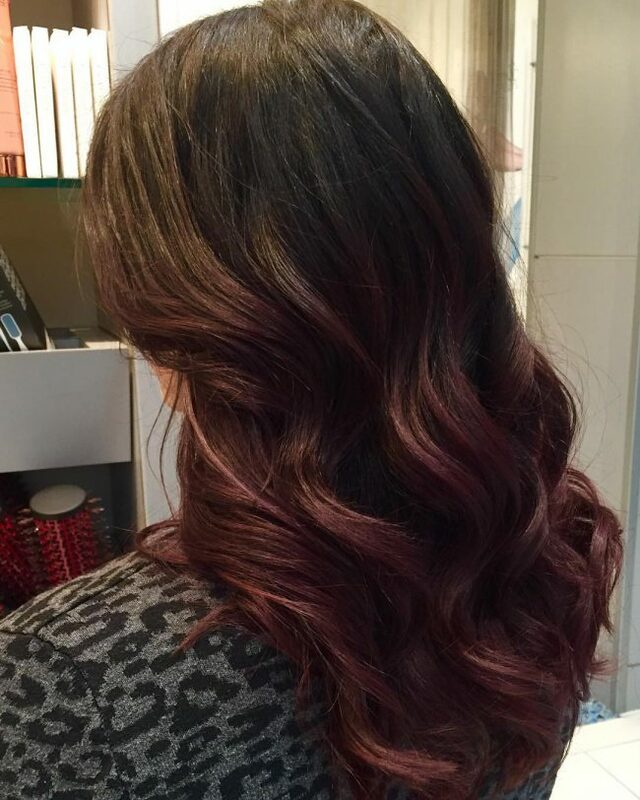 This long and curly ombre is different in a way that it can be styled in a thousand ways. Your hair color depends highly on the choices you are going to make. 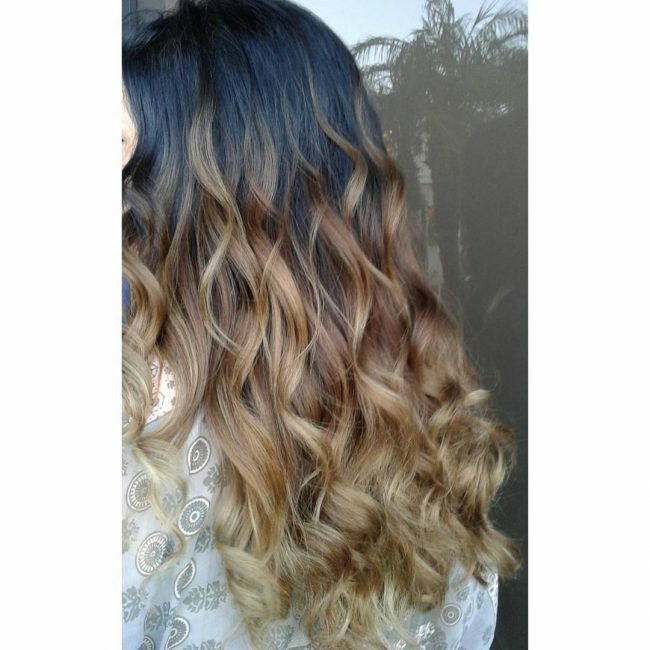 So, if you want to be free with them, then try this lengthy curly blonde ombre. This one looks perfect on shorter locks. 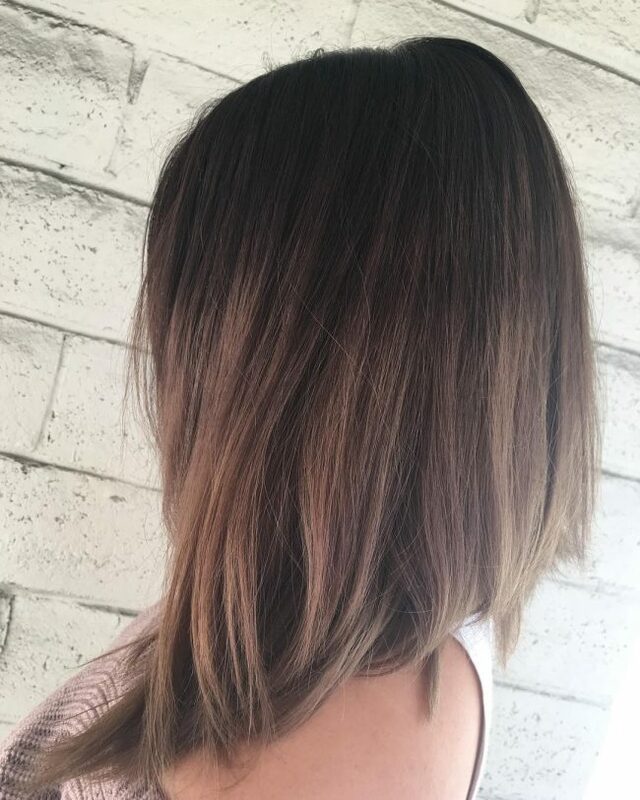 You can see that the stylist has played with low lights and highlights both. 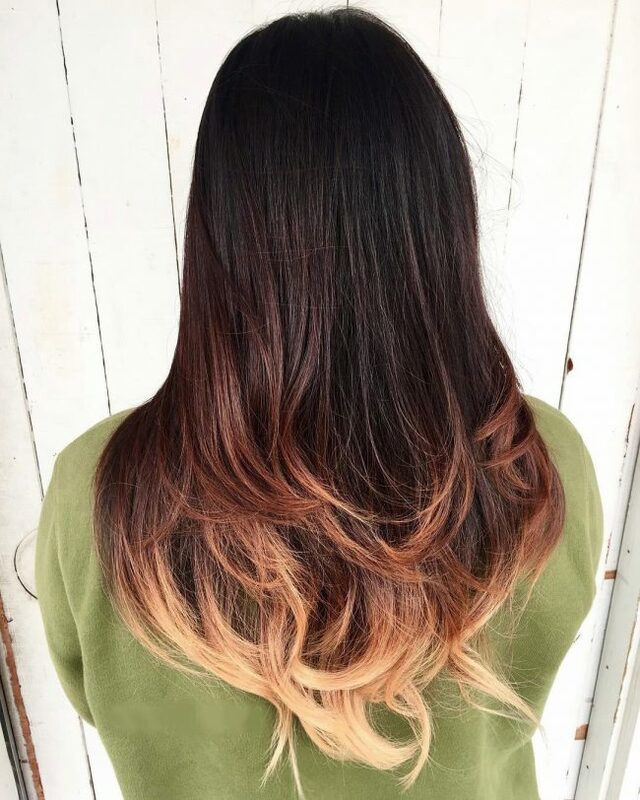 This ombre is an amazing way to rock dip-dye hues with less contrasty colors. It can work both for dark-skinned as well as light-skinned girls. Whether the blue is the last color she had or she threw it intentionally, the shade looks charming to the eyes. Again you can see how pastel colors can turn the whole look upside down. This mixture of three totally gives the incredibly beautiful mermaid-ish look. The blues and blacks don’t mix quite well but the outlook is so amazing that it just forces you to ignore the fact. You can see both light and depth in this look. 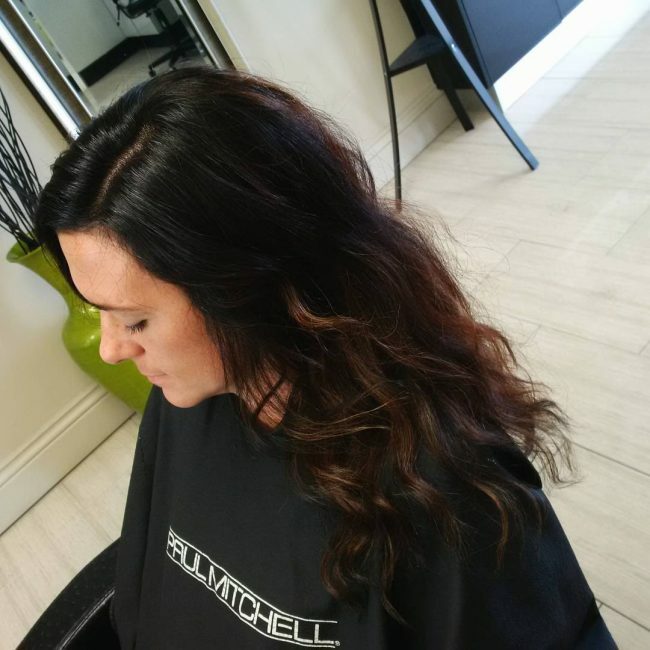 Getting your hair balayaged into something like black ombre gets the fullness out of your face. 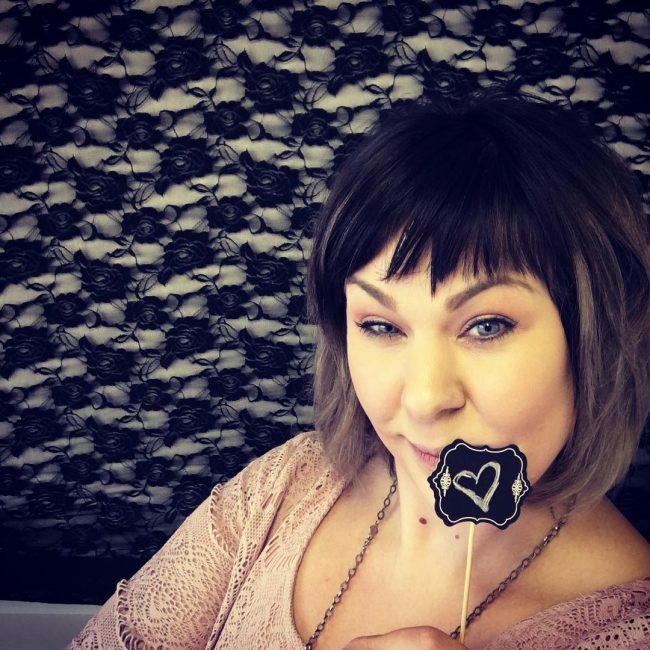 It rocks for ladies with square faces. You can’t see much of the highlights but they are subtle and can be noticed in outdoor functions. Other than that, the hair color looks pretty smooth and frames the face to bring out its magic. Warmer complexions can totally kill this combination. The pretty plum on black ombre does fair to everything you wear. You can see that the top part of the hair is flat black and the color starts from mid-length. 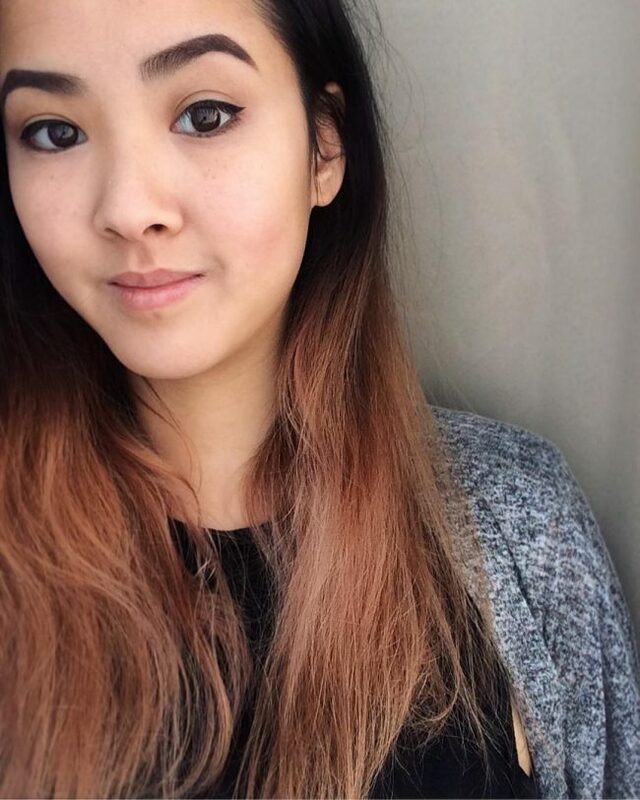 As it gets to the bottom, the faded pastel toned hair become prominent. This is another three-hued masterpiece. Achieving this kind of look is a little tough, decision-wise. 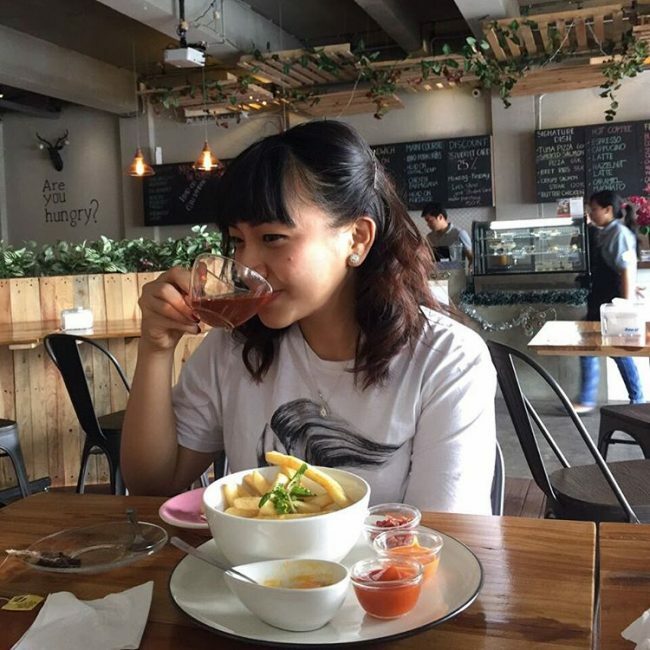 However, once you are through, you’ll start to enjoy it. You can throw all kinds of pretty dresses and dark makeup to enhance its outlook. My goodness! Nothing looks better than the red lipstick here. 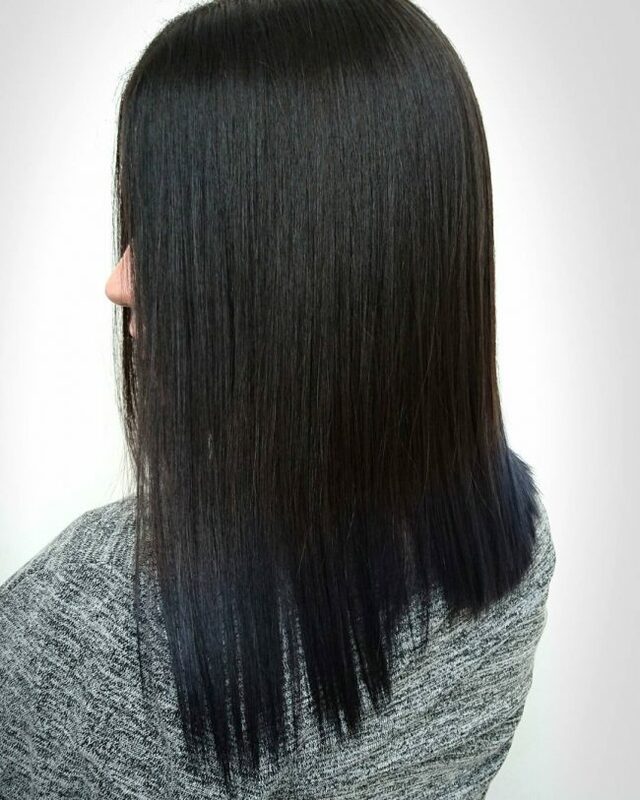 Update your regular black hair color by adding midnight blue 3 inches from the bottom. This ombre enhances that subtle yet loud kiss of turquoise. This style is suitable for dark-toned ladies. 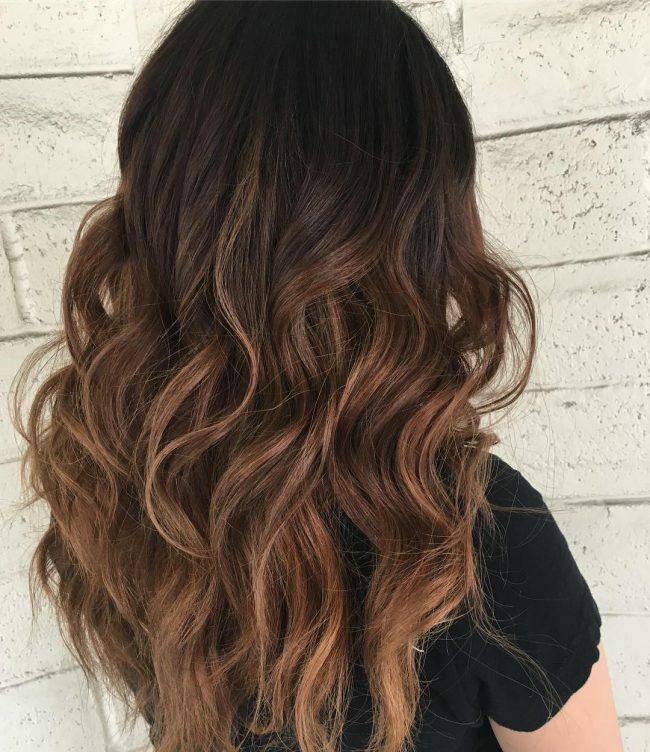 Trust me; this ombre hair color is the perfect definition of bold and stylish. You can also maintain your current look by just adding a little blonde liveliness with this cool style. Try this slightly subversive hue transitioning from dark chocolate to milk chocolate. The brown undertones add a little vibrancy to the whole thing. Dark hair is a blessing that you should take advantage of. 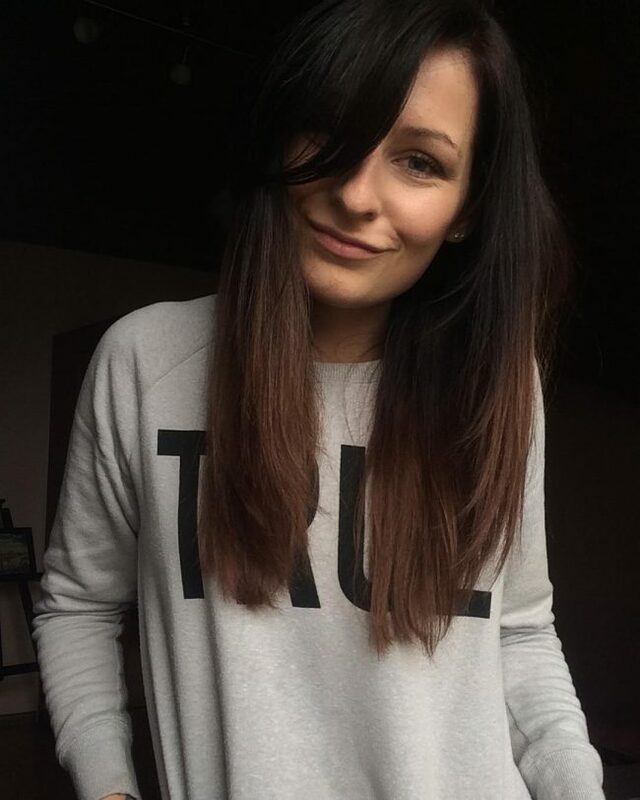 You can keep it long or of medium length. To make it stand out, leave it smooth and black on the top part. As it goes down to the tips, add some light tone and leave it in crispy waves. Have the roots in their natural black and you will be amazed by what effect that has on your ombre. The combination of black and red is always a stunning look. You can have just that by pulling your hair to the back and letting it fall over the back. 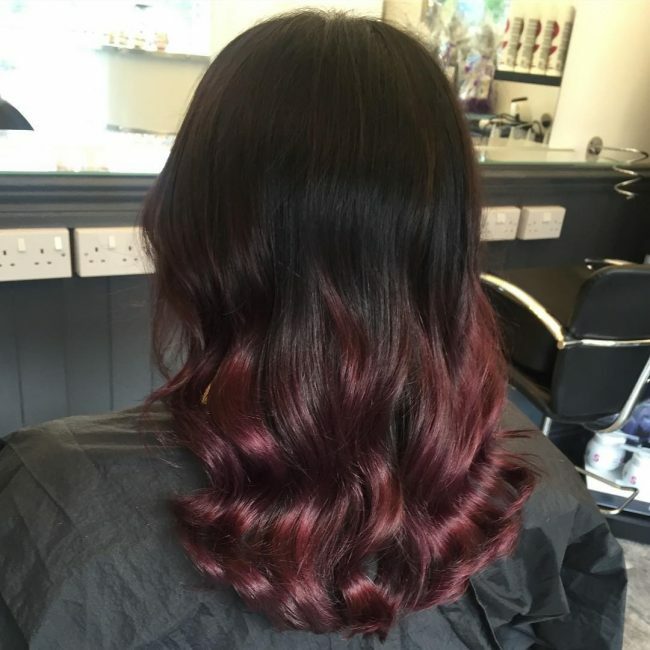 Have it dark and smooth at the roots and slowly transition that into some sparkles of red waves. 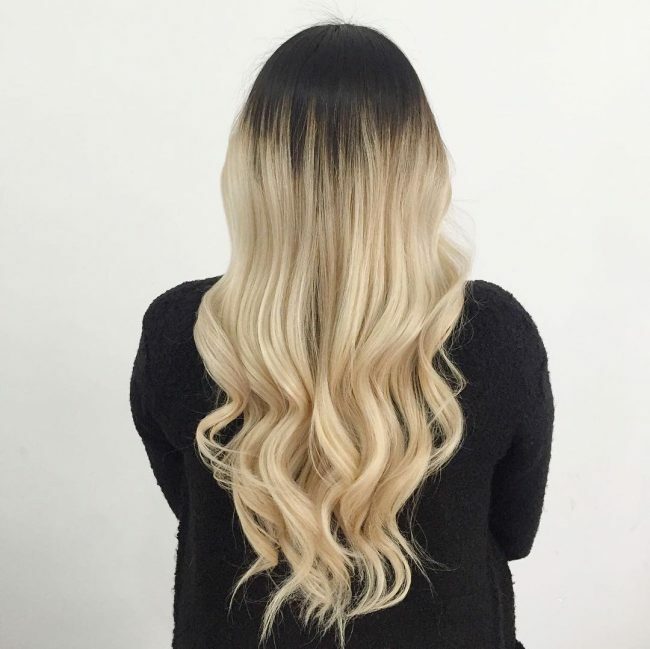 There are so many ways to have some white color on your hair. But if there is one great way to that, it is having silver delicately blended in. 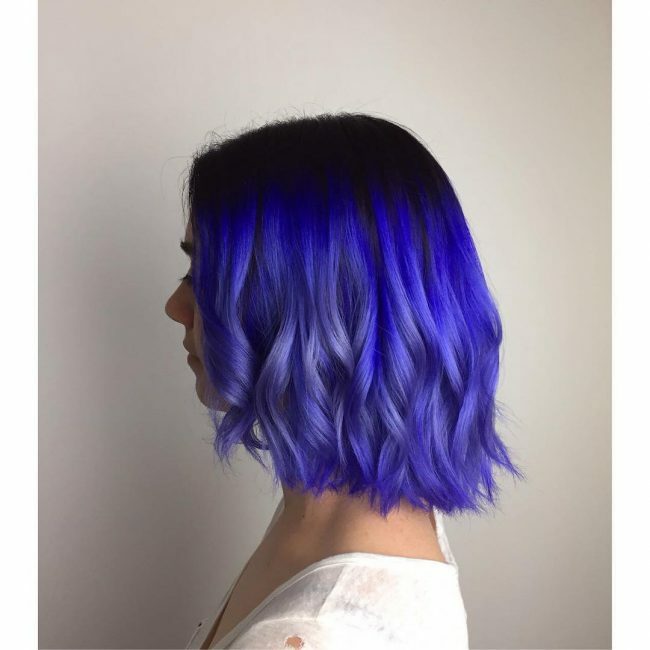 Start at the roots with a dark deep tone and then transition into blue, which goes so well with the forthcoming white tone. At the low ends, bring in the silver for a stunning finish. Black hair is very versatile and you can do with it as you wish. One way of having it look great is letting it run over the back in a smooth flow. Keep the roots and a big chunk of the portion in its natural black hue. As you get near to the tips, give it some reddish lowlights. Let the tips have some mild waves for a dramatic finish. Hairstyles come and go but waves have reinvented themselves over and over again. 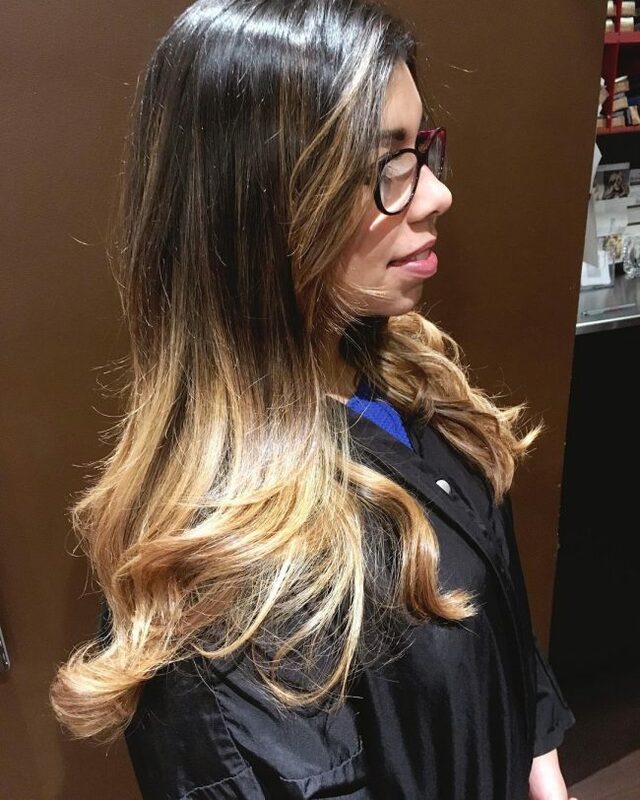 For your ombre, some addition of waves goes a long way to ensure that you standout. Leave the roots deep black. Let the brown highlights begin a few inches below that. Allow waves to start forming and get intense toward the locks and tips. Having your head’s sides and back covered in a thick mop of beautiful hair is an appearance to cherish. Let your smooth long hair fall over the sides and back. The roots and most of the top crown should remain dark. 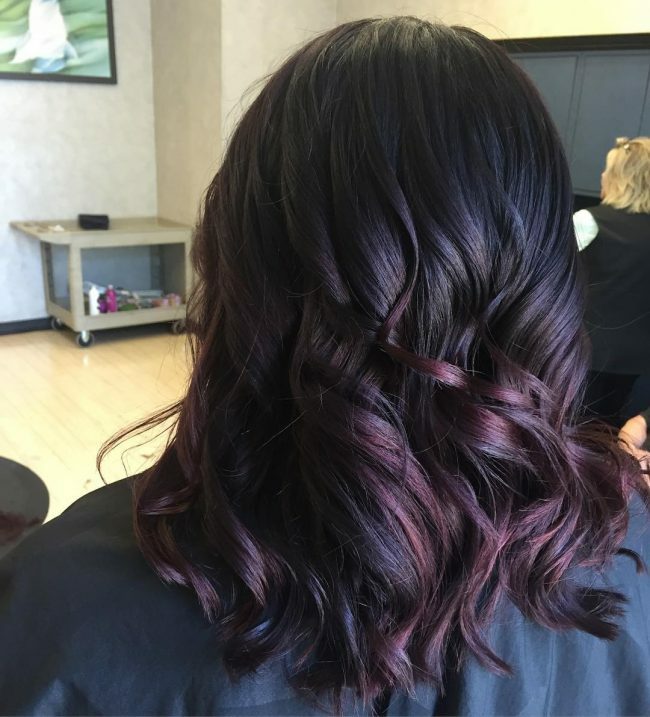 From the middle of the fall to the tips, have some dark red highlights for a striking contrast. 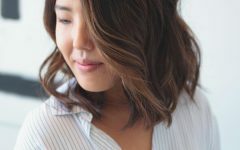 The natural fall of hair from the top to the tips is a sure ticket to beauty and easy to maintain style. 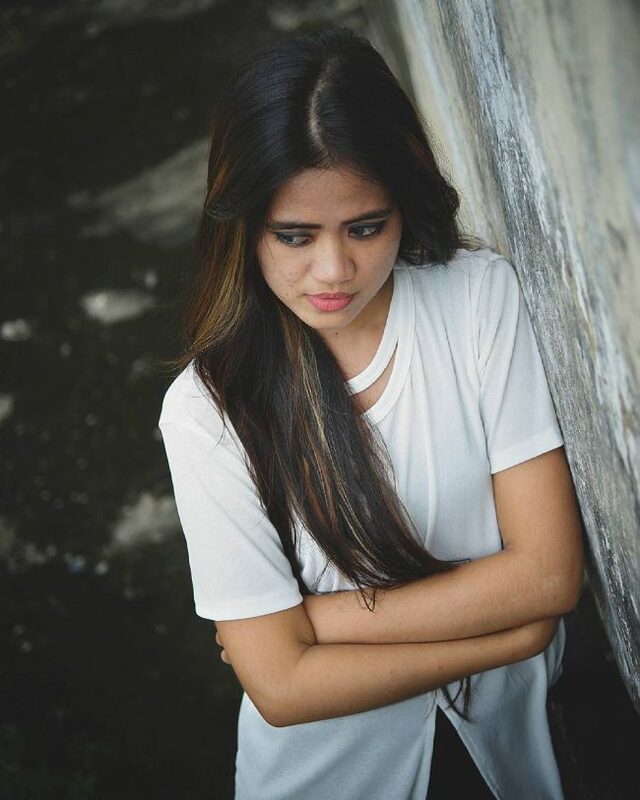 Well, let your cute ombre start with black roots and make a slight hill before suddenly falling to its full length. Halfway the fall, bring in some light tone down to the tips. Forget about the pigtails, there is a better way to achieve an even greater hairdo. Have the top braided backwards and then culminate into two beautiful tails. The front and sides are allowed some free falls over the shoulders and the chest. The tips remain black and in waves while the low end and tips are lightened up a bit. 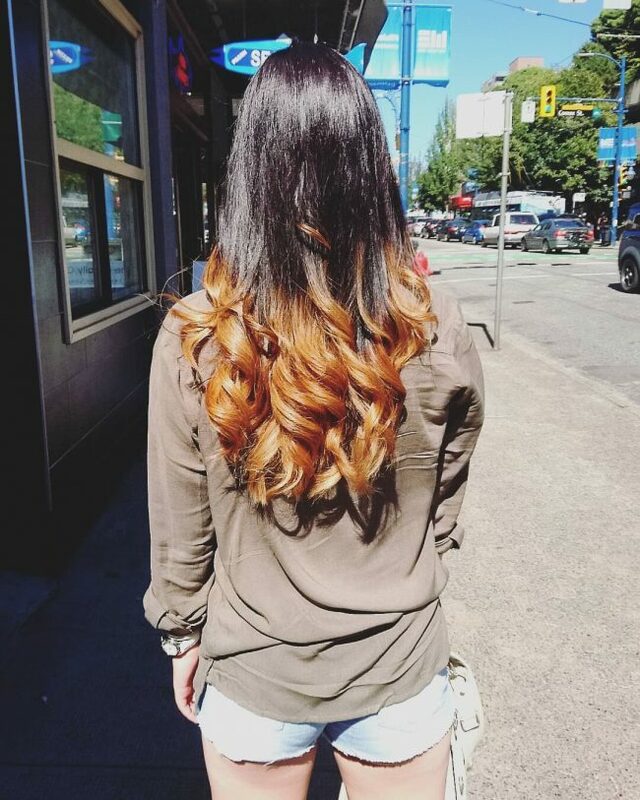 Having a banged ombre is a sure way to be a head turner wherever you go. But your bang has to be exceptional. To have that, let your bang fall over one eye leaving the other completely in the clear. The rest of your hair falls sideways and to the back. More than half the length remains true to your natural hair hue: black. Only the lower ends and tips are given a little red light. Caramel Ombre is a popular style and Nikki Minaj sometimes goes for it. It is simply achieved by letting your roots remain black and smoothly combed. 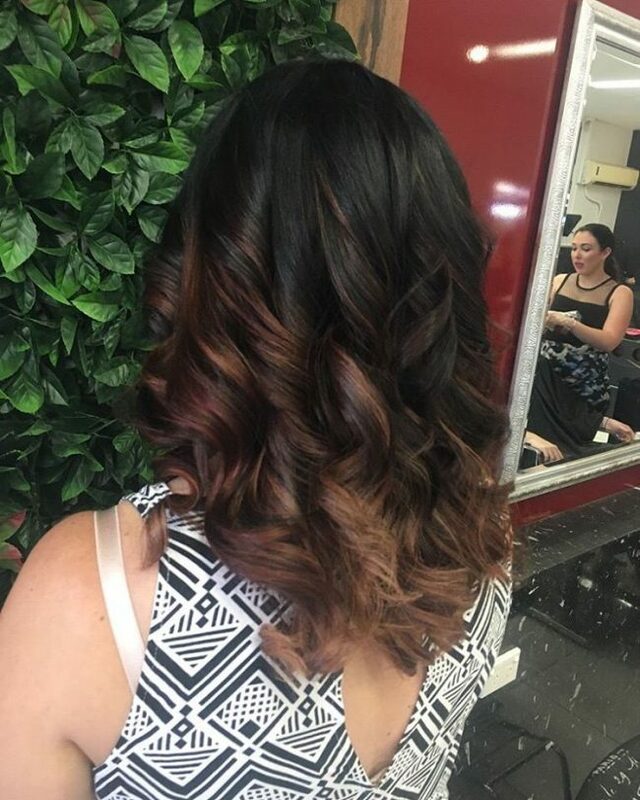 Right after the roots, the hair is portioned into waves laced with some reddish light, which so well matches with the natural color of your hair. Adding some soft texture to black has never gone wrong. It adds to the beauty and sophistication of having it all in your hair. Part the hair at the top and let it run down over the sides. Keep it smooth all the way and if you must allow a few natural waves to from. White and black are bedfellows and having them on your hair is a sure mastery of style and fashion. Start by having your hair trimmed short. Style it to lie close to the scalp and with a short banged front. The back is all white and overlaps on the underlying black layer. 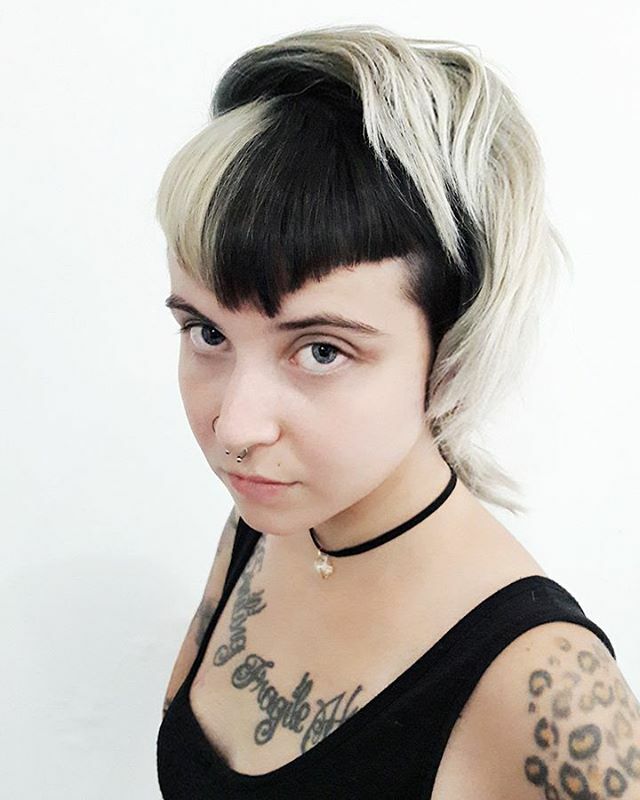 Ensure the bang is half black and half white as well. 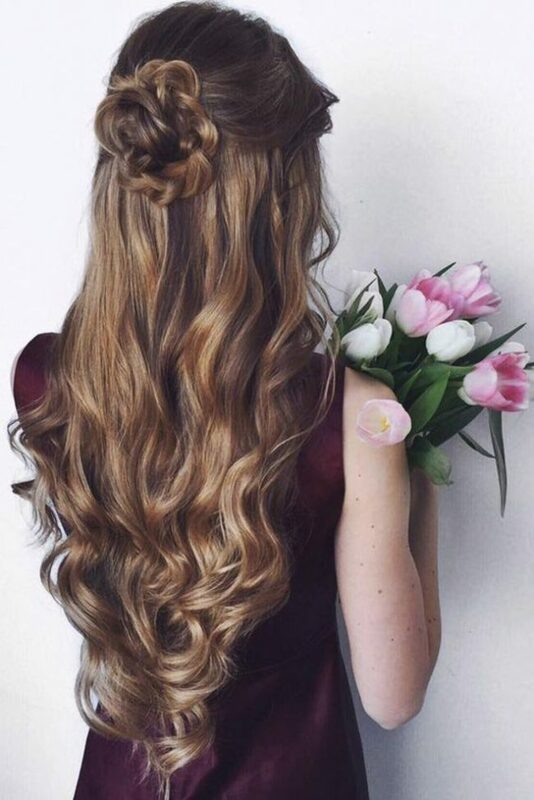 Once again, there is beauty in having long hair. And even more, knowing how to style it is a big plus. 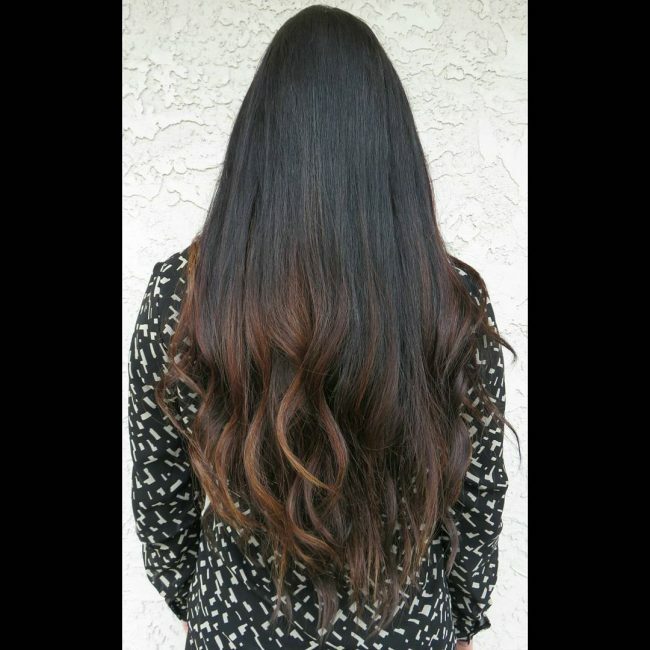 Let your dark long ombre flip over one side and run for as long as it can. Keep it smooth all the way to the tips. Let the short side run down to the shoulder level. Lighten it up a bit at the tips. You do not need a complex hairdo to look fabulous. Parting your hair at the top into two equal parts and letting each fall freely is an easy ticket to achieve that. Leave the roots deep dark and slowly transition into a red-brown hue. At the tips, allow for a near-to-white shade. Black is healthy and beautiful. You can leave a big section of your hair black and still be the queen of beauty you aspire to. Let your hair fall over your back freely. Comb it straight leaving simple waves at the tips. For the low light, have a brown to red shade. Such is a color combo that will bring out the best out of your hair. 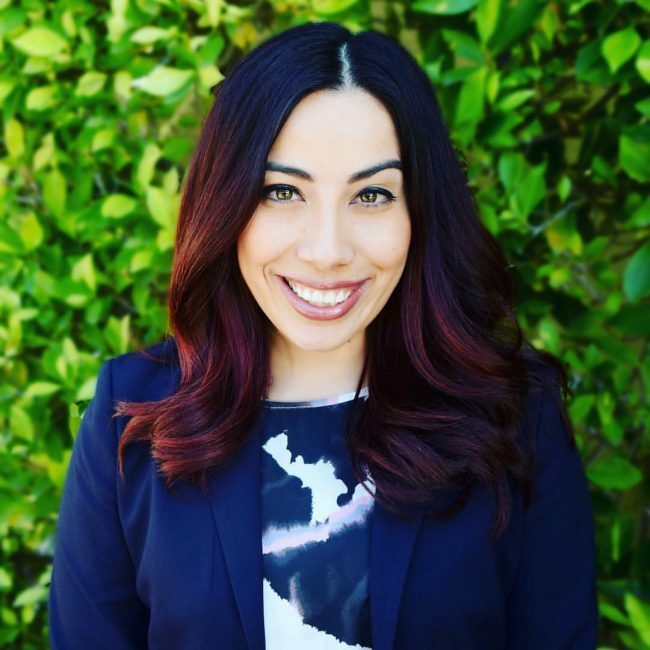 Keeping it close to your dark hair color is such a good choice: no one may notice the change. 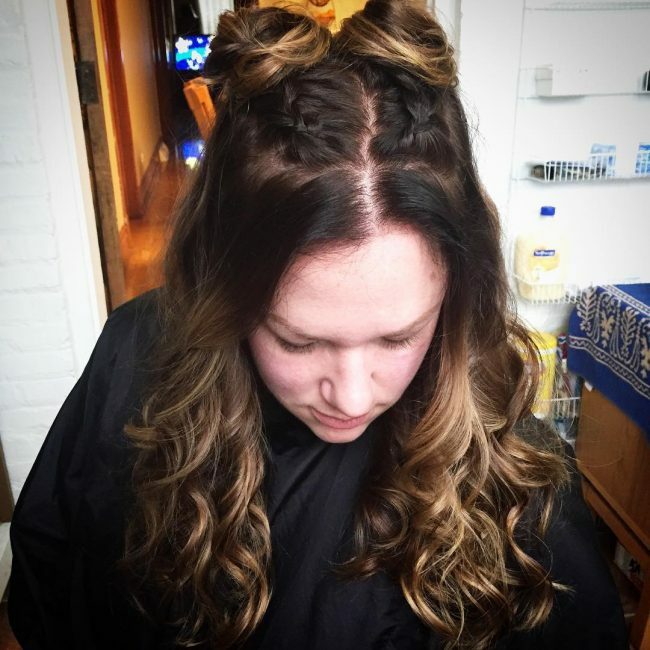 Dirt brown is not a farfetched hue when it comes to your black ombre. Have your hair parted slightly beyond the center top of your head and allow it to run down to the sides. 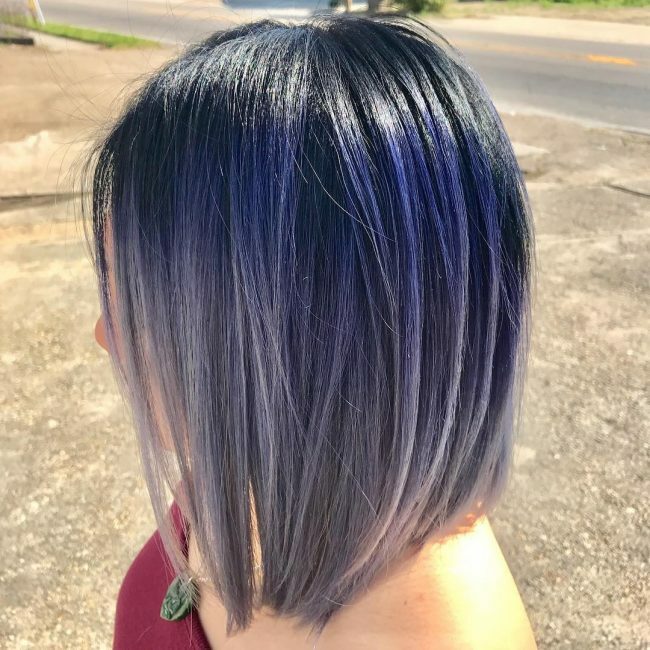 Brighten it up a little bit on the tips for a change. Leave it all smooth. If you are not willing to let go of your natural black hair then you have something to settle for. Draw it all to the back in one thick mop. The roots and the middle part of the strands should remain all black. The red lowlights only come towards the tips and it is such a great contrast. Black is not only bold and healthy but also a versatile color that leaves you with a galore of choices on what you can do with your hair. You can go for simplicity, just like this one, and still be as rocking as ever. Let it run all length downwards leaving it in its natural color at least for the larger portion. One easy way to deal with the dullness of black is leaving it shiny. To achieve that for your side way flips, treat your hair into a smooth mat and let it fall over the sides. 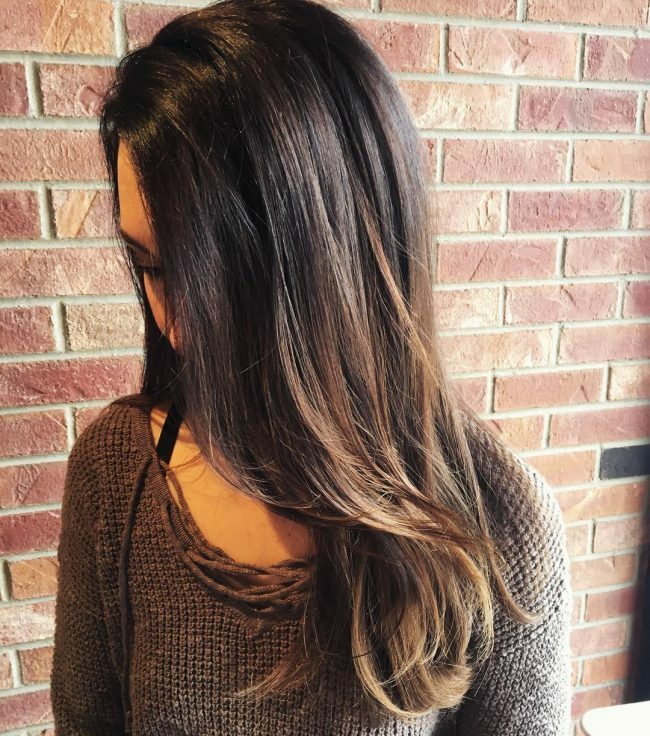 On the low ends introduce a bright brown tone to give it a light ending. Bold is only for those who are willing to go for the most unconventional colors for their hair. And one such color is blue. Allow your ombre to run down with the roots remaining black. 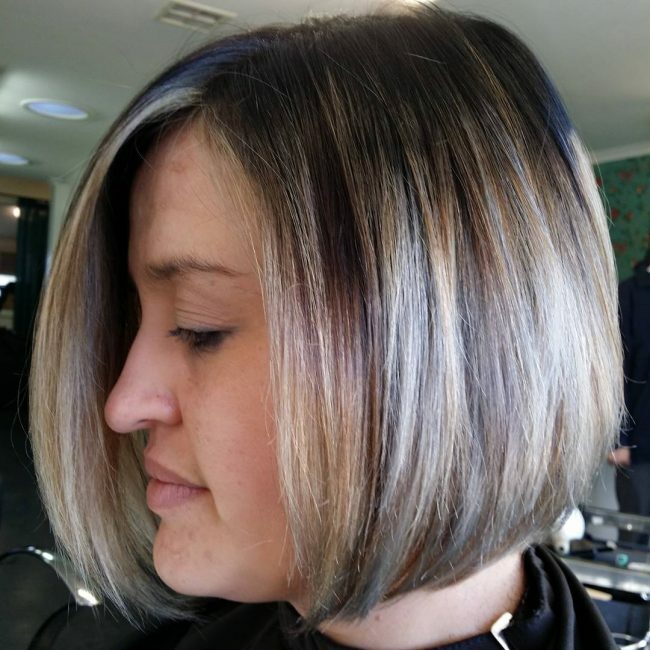 In the middle allow for a dense blue tone, which fades into silver as you head to the tips. 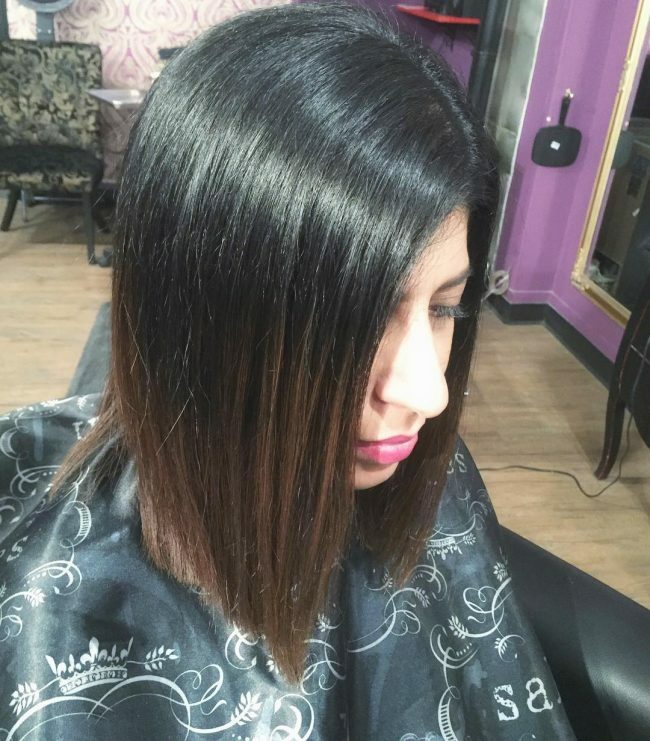 One easy hack for your black hair is to know the right color to bring in for contrast and how to seamlessly blend it in. Here you only need to pull all your hair over the back. Leave it with a not-so smooth texture and majorly black. At the end bring in fire ferret contrast with a mild red sparkle. 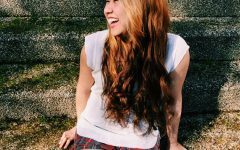 Long hair is such an asset that will make your hairstyle, whatever design you go for, adorable and outstanding. If you have to, go for extensions to achieve that extra length. Let your hair run down to as low as it can go. 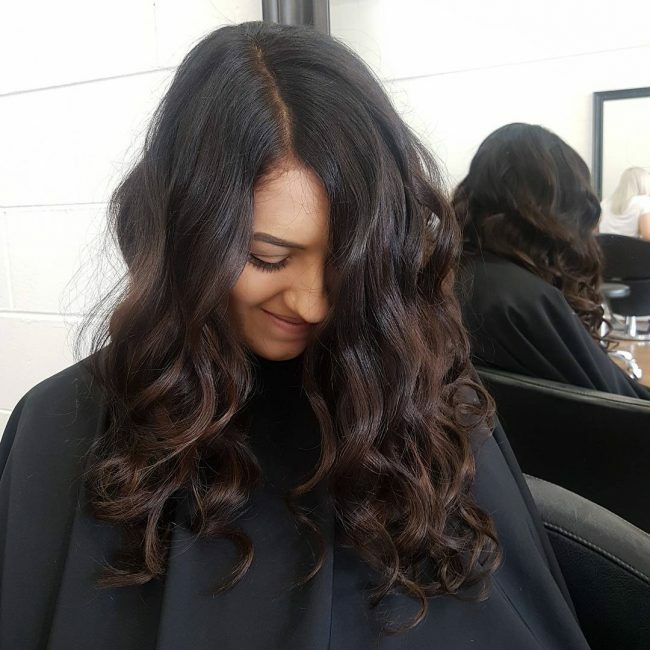 All the way give it a soft tone with a few gentle waves coming at the tips. And yes, you can throw in some scanty speckles of red at the tips too. Bangs have found a favorite spot among ladies’ hairstyles. You can invent creative ways to have your bangs fashionable with whichever style you go for. Hold together almost three quarters of your hair and draw it backwards. You can hold it in place with a clip such that it makes a broad horse tail. Pull to the front the remaining hair to make a full hairline bangs. Red in deed is such a great color that easily blends in dark colors like black. Have your hair in a smooth tone with a fall to the sides and the back. 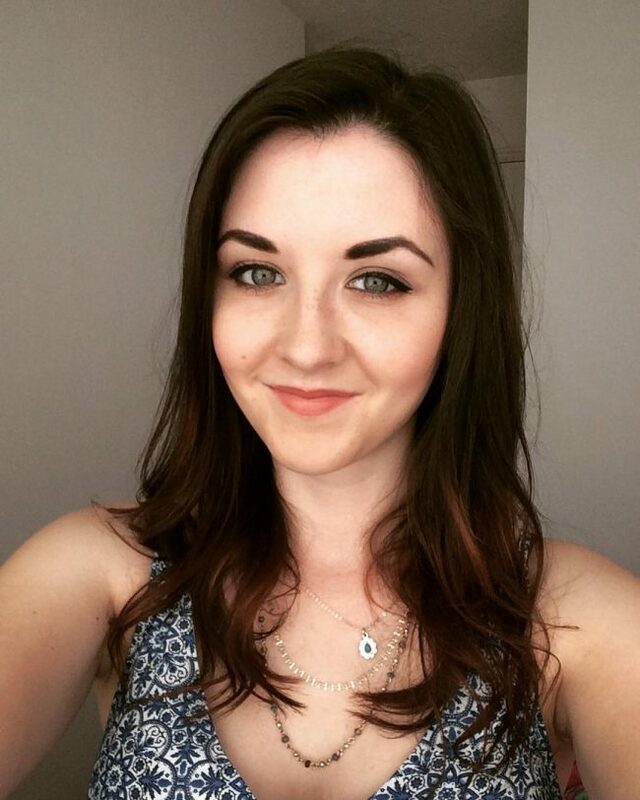 The front should be banged for the full forehead. Right at the tips, introduce a red flash for a serene finish. 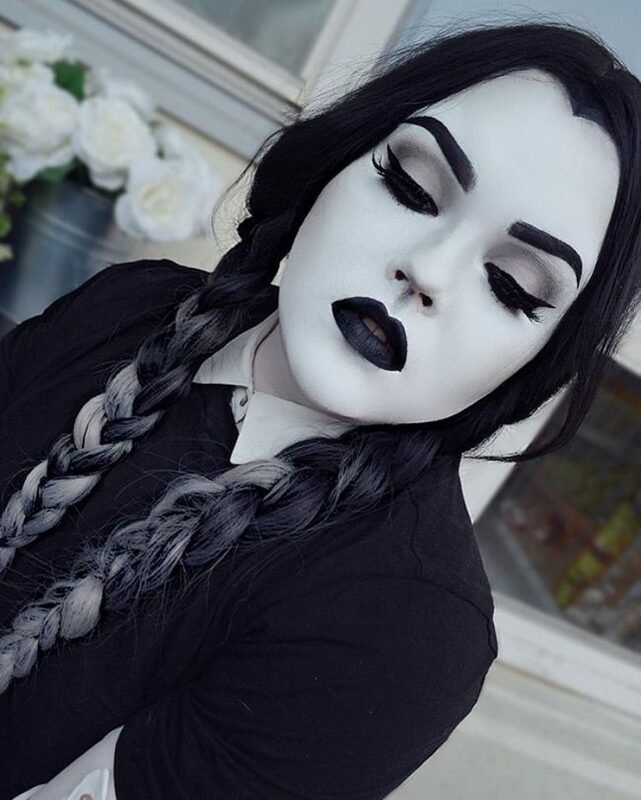 Meant to perfectly complement each other, black and grey are colors you would love on your dark hair. Black comes in from the roots and goes beyond the middles then it is seamlessly succeeded by a patch of grey that goes down to the tips. It is advisable to have the hair tips form a few gentle waves. 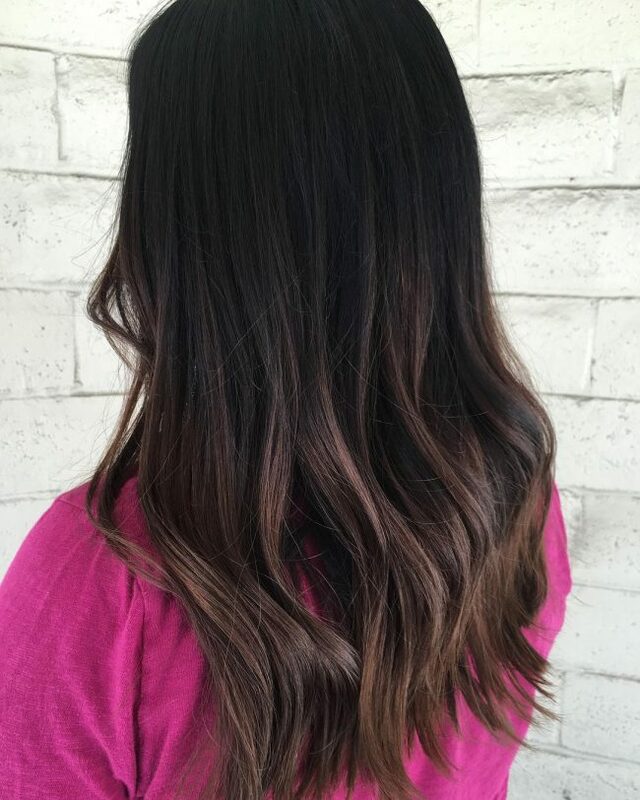 Chocolate and brown is perfect combo for your black ombre hair. They make it appear healthy and tending to it becomes a piece of cake. Well, draw your hair backwards first at a smooth tone then in waves towards the tips. Feature both chocolate and brown top to bottom. But let the brown take dominance at the tips while the chocolate rules at the top. If there is a color that pronounces a lady’s hairstyle then white is the choice to beat. 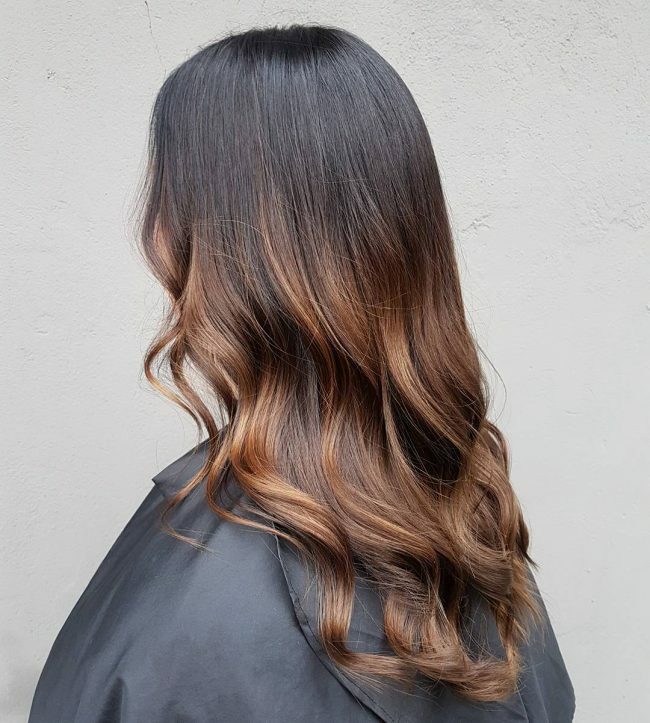 If that is your desire for your ombre, leave it deep black at the roots. From there downwards, usher in the white hue that runs up to the tips. Keep it smooth and introduce some waves towards the end. Your long hair deserves a treat of its kind. Leaving it dark for the longer portion underscores your hair’s natural color. 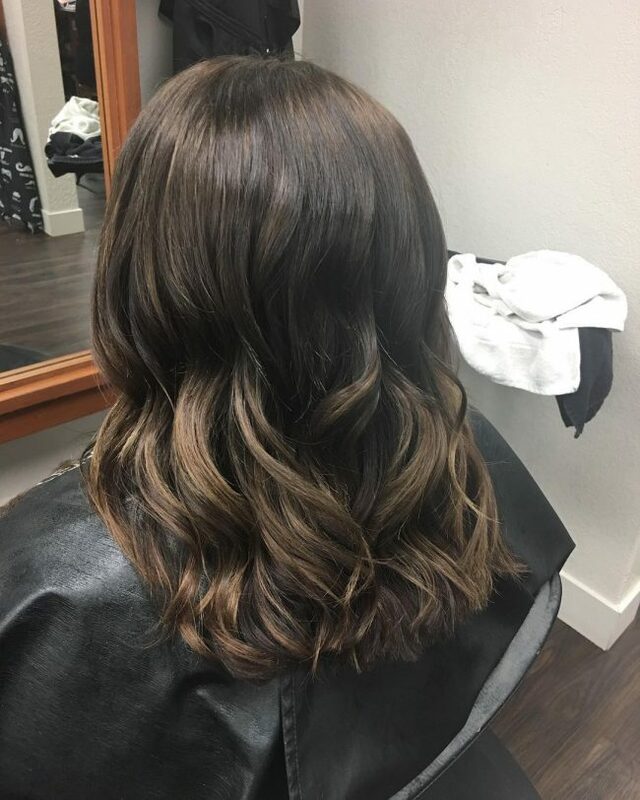 An introduction of charming brown waves at the end brings in a lively tone. Make them seem like fading extensions of your long beautiful hair. A clear demarcation between your black hair and a dyed color is a sensational mix worth your try. Let your hair roots be deep black. For the red tone, make sure it is clearly defined where it starts and runs to the hair tips. Some placid waves at the end will be a welcome view. Having that long hair lying over your back is such a breathtaking view from behind. Make it just like a water fountain by smoothly touching the hair into a fine finish. The roots and a bigger section of your hair should remain black with only brown lowlights featured close to the tips. 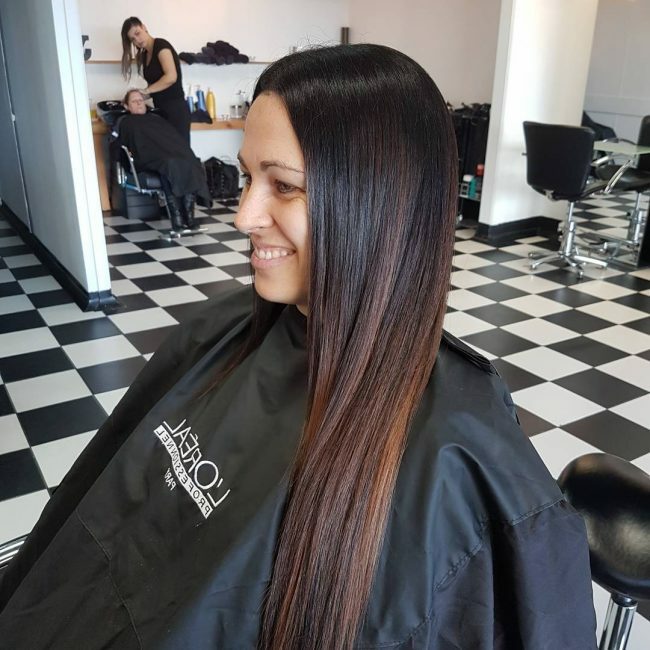 With your black ombre hair, you have an asset to explore all the hairstyle frontiers. 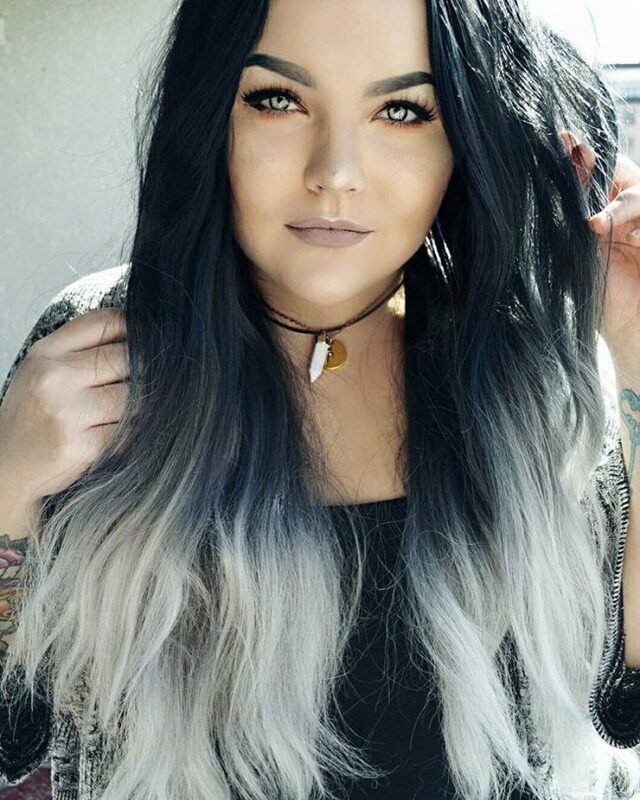 There is no limit to what good you can do with your black ombre hair. The choices of colors are rich and wide and the hairstyles are inexhaustible. It only boils down to what you want and we help you make that choice.